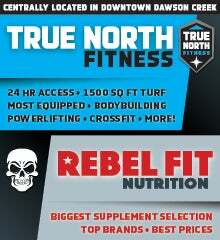 Come celebrate our 10th birthday with us! 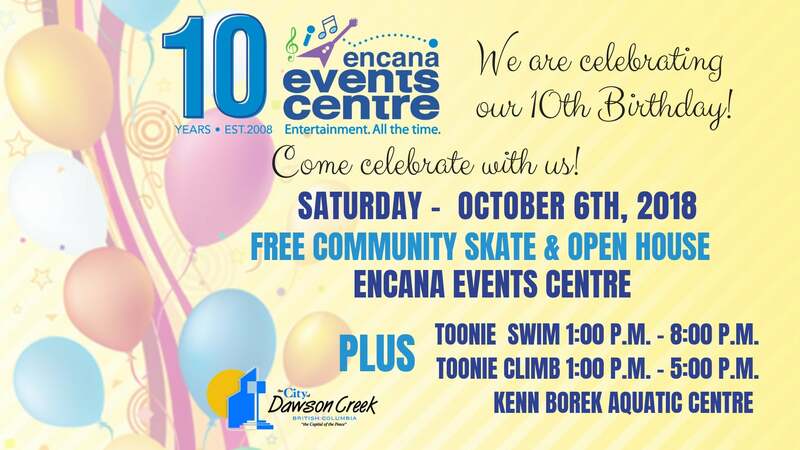 Come down to the Encana Events Centre on October 6th, any time between 11:00 a.m. and 4:00 p.m. and enjoy a free community skate! Staff will be offering tours of the facility every half hour beginning at 11:15 and there will be free hotdogs available! Enter through the upper lobby doors. The Kenn Borek Aquatic Centre is offering a toonie swim from 1:00 p.m. - 8:00 p.m. that day as well as a toonie climb from 1:00 p.m. - 5:00 p.m.